This Framework offers a checklist guide of specific Standards of Ethical Practice for firms involved in cross-border recruitment of workers, and outlines a Verification and Certification System designed to protect workers against specific patterns of vulnerability and abuse. 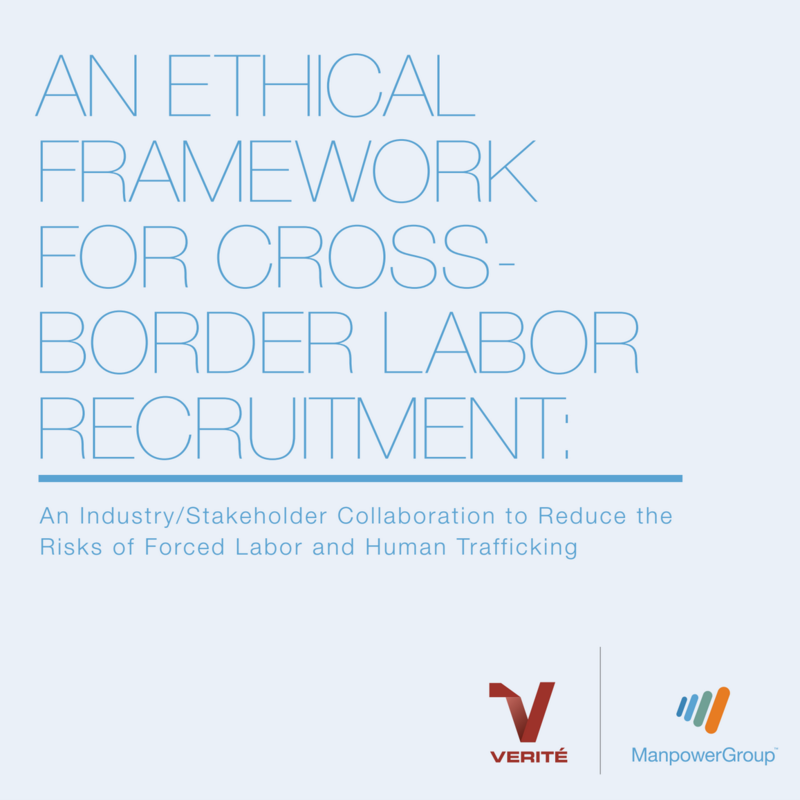 The Framework also details a list of recommendations which are informed by ManpowerGroups’s pragmatic experience in responsible cross-border recruitment of workers, and Verite’s expertise in creating verification systems to protect human rights. It is intended as the first phase in a three-phase project, the second phase is a demonstration project with interested groups, the third phase is the development and dissemination of results, assessments, further recommendations and supporting materials for the wider replication and adaptation of the Framework.